Self Cure Remedy details of Take cayenne pepper for the care and relief of Cough, including effectiveness and popularity scores of the remedy. 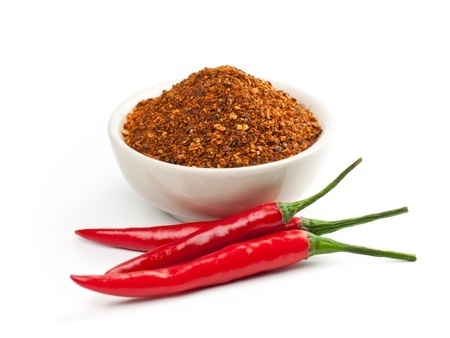 Cayenne pepper can help clear up congestions in the airway. In addition, some nasty, long last cough may be caused by misbehaving nerves sending the wrong signals to the body even after the original airway problem (caused by a cold, etc) is gone. Cayenne pepper may help this type of coughing as well. Eat cayenne pepper. Women who are pregnant or breastfeeding should avoid consuming cayenne pepper. The self cure remedy of Take cayenne pepper for the care and relief of Cough has an effectiveness score of 1.6 and a popularity score of 45 on the self-cure system.